European Motorsport Saved by Court Decision—Motorsport as we know it will continue in Europe, after a landmark ruling by the European Parliament to exempt competition vehicles from EU’s Motor Insurance Directive (also known as Vnuk). Thanks to a little sense and sensibility, championships like the British Superbike Championship are safe from EU insurance red tape. The Directive would have required all vehicles, be it cars, motorcycles, trucks, to have a form of road traffic insurance, regardless of whether or not they were designated for competition use only. No insurance of this kind is commercially available in Europe, and the Directive dictated anyone who wanted to race would need insurance on their machines. Thus, the MID could very well have killed off motorcycle racing and motorsport as a whole as we know it. The European Parliament committee responsible for the MID voted unanimously to exempt motorsport from the Directive by 32 votes in favor to two against. 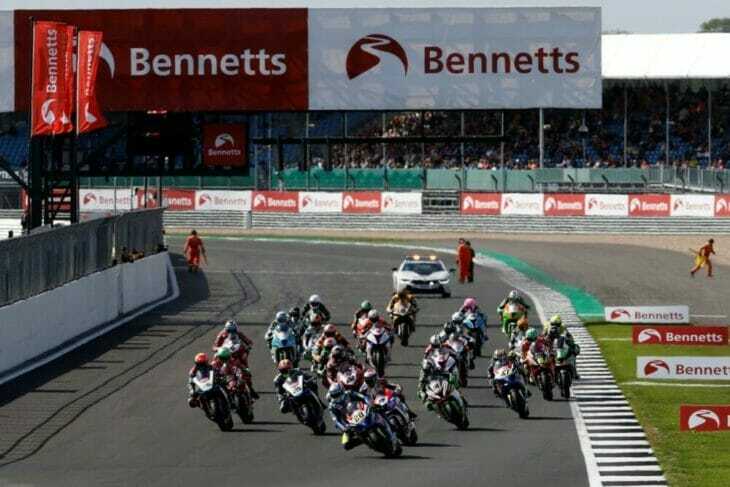 The ruling is the result of extensive lobbying by such groups as the MCIA (Motorcycle Industry Association), UK bodies including the Auto Cycle Union, Motorsport Industry Association and Department for Transport, the FIA, FIM, and European Motorcycle Industry Association. The Motor Insurance Directive came about after Slovenian farmer Damijan Vnuk was knocked off a ladder by a reversing tractor in a farmyard. Following this incident, it declared all motorized vehicles—sporting, recreational, personal or commercial—required insurance.